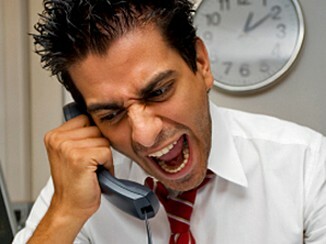 Reblogged: Debt collectors illegally hound people who don’t owe money. A third of people who complain about debt-collectors who break the law say they don’t even owe the money under discussion. Of the victims who complained to the Consumer Financial Protection Bureau about being hounded for money they don’t owe, two thirds say they never owed it, and a third say they had already paid it off. Debt-collectors call wrong numbers or hassle people with names similar to those of debtors. They call them at work and at home, and use threats and obscene language when they’re told they’ve got the wrong person. One offender, CashCall Inc, is being sued over its practices, and was separately ordered to refund $14M in debts it collected through fraudulent robo-signing. SummonsResponse.com will guide you through a series of simple questions in order to create an appropriate and properly formatted answer to your civil suit. At the end of the process you will be able to immediately print out your forms and file them in court. Watch Our 3 Minute video Tutorial! Our comprehensive 3 minute video tutorial will walk you through all the steps necessary to complete your summons response. File your answer in court and serve the papers onto the plaintiff. or by any other entity seeking monetary compensation for owed funds.